Until I met the Cambria Praa Sands, I put all my love on marble and granite countertops in the kitchen. The kitchen is arrayed it on finest apparel, while Cambria Praa Sands countertop warms up your heart. One of the best marble looking engineered stone brings you the sound of ocean. Usually people like to listen to the sound of the ocean by using Conch Shell. Conch Shell itself is silent but the air inside is kinetics. By having her, ocean waves and sea foams are ready to poke you. Who does not would love to have her in the kitchen remodeling? Cambria Praa Sands has an infused black, cream and sea foam color waves and her sparkles are like golden and silver. The posh of soft and dreamy tones brings some elegance in your kitchen. 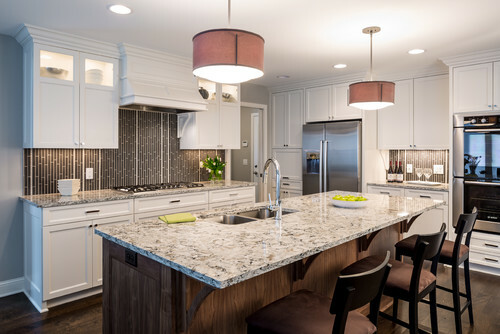 I think Cambria Praa Sands cooperates perfectly with white, off white, basalt gray, walnut and chestnut cabinets. The two-tone cabinet ideas can turn into amazing results by using Cambria Praa Sands Countertop. She can also glitter your walls as backsplash even you have some granite, quartzite and countertops too. The backsplash selection for Cambria Praa Sands countertop is such a fun project. Any cream tones, sea foam tones and dark brown colors are coordinated well with Cambria Praa Sands. if you have a porthole in your kitchen , the happiest match would be Cambria Praa Sands for kitchen remodeling. I would like to collect a few good pictures for your review. Hope you like them all and you will drop your valuable comments. Picture Credit: Allison Landers via Houzz., Cambria Praa Sands with two tone Cabinets. To make enough opposite, backsplash and flooring are picked in dark tones. Sherwin Williams Mineral Deposit wall paint is a very good addition. 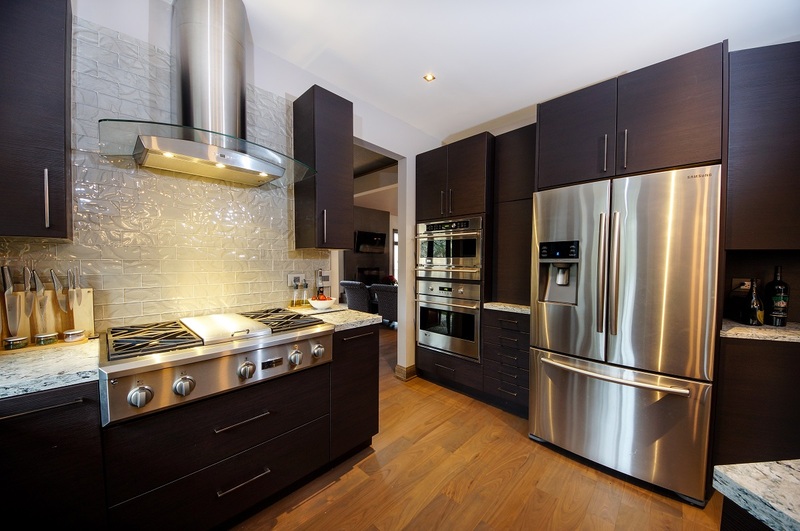 All the design elements in kitchen remodeling are detailed. Traditional style is reinforced with rich bold modern lines. Vertical matchstick backsplash and vertical liners give an infinity look to this excellent kitchen. Picture Credit: Kitchen and Bath Details., The photographer is Phil Mello of Big Fish Studio., The coastal breeze can not be expressed perfectly without Cambria Praa Sands Countertop, Pearl color nice soft gray cabinets and Benjamin Moore Silver Marlin 2139-50. The bonus is a porthole. Detail oriented design. Picture Credit: Tewksbury Kitchens & Baths., Cambria Praa Sands countertop and double height island top in two tone cabinets kitchen remodeling. Perimeter cabinets are Sand Dune color solid finish and island cabinets are Storm color stained finish. Glass mosaic backsplash has the blend of gray, sea foam , brown, black and cream pieces. Porcelain flooring completes the puzzle. Meticulous design. Picture Credit: Blue River Cabinetry., KraftMaid dove white cabinets with black beadboard behind glue chip glass, KitchenAid stainless steel appliances, Cambria Praa Sands quartz countertop with custom edge, wood plank tile is Oak Hampton, the wall color is river black from the old Benjamin Moore fan deck.Backsplash tile is a carrera marble mosaic. All are embellished with the nice kitchen chandelier. Professional touch in kitchen remodeling is very visible.